Looking to Hire a Garage Door Company? Ask These 5 Questions! Home » Blog » Looking to Hire a Garage Door Company? Ask These 5 Questions! Whether you are looking for residential or commercial garage door services, it is important to address a number of concerns before hiring one of the contenders. Although the role of garage doors is taken for granted by most people, the indispensability comes to light when there is a malfunction. It is therefore important to select a garage door company that has the competence to deliver high quality services without burning a hole in your pocket. A company such as Overhead Garage Door LLC. If you too are looking to hire a reliable garage door company, but haven’t been able to make a decision, you have come to the right place. Go through this blog to learn five questions you must ask, when hiring a garage door services company. 1. What types of insurance do you have? Insurance is one of the most important aspects to consider when shortlisting a residential or commercial garage doors company. All leading garage door installation and repair companies have at least three types of business insurance covers: Business Owner’s Policy (BOP), Commercial Auto Insurance, and Garage Keeper’s Legal Liability Insurance. Ask about the different insurance policies and coverage offered by a garage door company to make an informed decision. Overhead Garage Door LLC, for instance, has a comprehensive insurance policy, covering employees as well as services. Ask a series of questions about their past customers and the number of years they’ve been in business. Although a number of startups may be doing well and have positive feedback, it is advisable to choose an experienced door repair company. An experienced garage door company is likely to be better equipped compared to an upcoming one, in dealing with different garage-related issues. Founded in 2011, Overhead Garage Door LLC has extensive experience in addressing all sorts of issues in garage doors and is ideally positioned to deliver unmatched service quality and value for money. There is no better way to learn a story than to hear it from the horse’s mouth. Always ask for references when looking to hire a garage door repair company. Every reputable commercial roll up garage doors repair company will have a portfolio of past work or recommendations from previous clients. The information will give you a fair idea about the quality of work you can expect from the contenders. 4. What all payment options do you accept? Renowned companies offering commercial overhead door services usually accept both cash and electronic payments. Always ask about the payment options before finalizing on a garage door company. If a garage door company informs you beforehand that cash is the preferred payment method, it is advisable to have the necessary amount in-hand. While paying in cash, always ask for a receipt as a proof of the transaction, which might be essential to claim warranty in future. 5. What safety regulations do you follow? 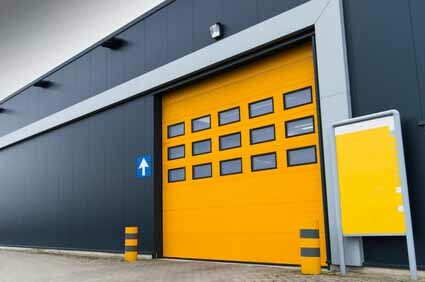 Garage door companies are required to follow a number of regulations to ensure the safety of their employees and customers. It is, therefore, important for you to ask what all safety regulations they follow and check whether they comply with the safety regulation standards applicable in your local area. OGD LLC comply with the different regional safety regulations to ensure safe and high-quality services. The competence of the garage door services company you select largely decides the quality of work and the performance of your garage door. Whether you are in Dallas, Texas or any other part of the country, make it a point to go with a reputable name in the industry, such as Overhead Garage Door LLC. Placed among the leading providers of residential or commercial garage door services in Dallas, Texas, we are here to end your search for a name that you can trust. If you are looking for a residential and commercial garage door company, fill out our contact form and we will take it from there.